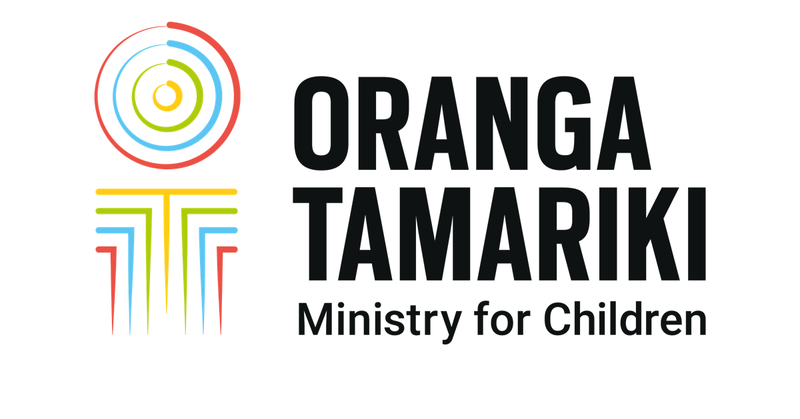 Our full name is Oranga Tamariki—Ministry for Children. 'Oranga' is the wellbeing we want to help the children we work with to have. 'Tamariki' reminds us that children are descended from greatness. They are born with an inherent mana that can be damaged by abuse and neglect. We support children, family and whānau to restore their mana, their sense of self, their important connections and relationships, their right to heal and recover, and reach their potential. Some ideas about what you can do and where to go if you’re worried that something’s wrong. New Zealand values the wellbeing of tamariki above all else. We will challenge when things aren’t right for the child. We listen, we don’t assume, and we create solutions with others. It keeps us focused on what is right. Tamariki are part of a whānau and a community. We understand the long-term impact of our actions today. To ensure that all tamariki are in loving whānau and communities where oranga tamariki can be realised. It’s important that we take the time to get things right. It will take four to five years for all the new services, systems and processes to be in place. We’re working closely with a wide range of agencies, organisations and individuals, including young people and caregivers, and together we’ll create a better way of doing things. We will question, “is this working?”, and if it’s not, we’ll change it. We’ll use research, and make sure our decisions are evidence based. As we evaluate and change to improve children's lives, we’ll develop the best processes, enabled by technology. Collaboration and coordination will underpin everything we do. We know every child has unique needs. Our job is to listen to them, understand them and take those needs on board when we make decisions. We'll ask ourselves 'Is this the right thing to do for the child?' at every step of the way. We always expect the very best for our tamariki Māori, and will work closely with families, whānau, hapū and iwi to make it happen. New ways of measuring our work, and regular and transparent reporting will help us and our partners to understand the progress we're making. Prevention is now central to what we do. By investing up front in our tamariki, we can ensure their wellbeing further down the line, and reduce the costs to society. We recognise that our partners are often well placed to help our tamariki in ways that we can't. The future is about building bridges between our partners, and encouraging a deeper commitment and more shared responsibility. By building capacity and capability, together we can start transforming outcomes for children. A clear framework of practice will describe the values, principles, definitions and approaches to deliver positive outcomes for vulnerable children. This will empower people to use their professional judgment, based on an evidence-based understanding of the impact of trauma on children and young people. A system-wide framework will also be developed, to guide other professionals working with vulnerable children, young people and their families, ensuring a coherent experience. We know we can’t do this on our own. All New Zealanders have a role to play in providing love, care and support to vulnerable children, young people and their families. We’ll work to raise awareness and help communities to step forward and feel some responsibility towards– not just their own children ­– but all our children, and especially those who are most at-risk of harm to their wellbeing. We are guided by the United Nations Convention on the Rights of the Child (UNCROC). It's a set of fundamental rights many countries have agreed to for all their children, to ensure they lead safe, happy, fulfilled childhoods. We're proud that New Zealand has been part of it since 1993. Sometimes on this website we reference quotes from young people who have had contact with the former Child Youth and Family service. This reinforces that the voices of children and young people need to be present at every level of what we, the new Oranga Tamariki—Ministry for Children, do. If the quotes are anonymous it's to protect the identity of the young person. Many quotes have been sourced from the 'Voices' project, which helped inform the Expert Advisory Panel's Review of Child Youth and Family.